Shahbagh Square (Shahbag er Moar) in Dhaka, the capital of Bangladesh, transformed into a tangible human ocean this week as ordinary Bangladeshis joined in solidarity to demand the death penalty for the leader of the country’s largest Islamic party, Jamaat-e-Islami, well-known war-criminal, Abdul Quader Mollah. His sentencing earlier in the week to life in prison triggered Bangladeshis to put aside their political differences, and unite as countrymen and women against Mollah who was convicted, and sentenced to life in prison for a series of killings during the country’s 1971 Liberation War against Pakistan. We are not any political party. We do not represent anyone except of Bangladesh! It has been more than 40 years we are waiting for this verdict. We are protesting because if we can’t punish murderers like “Kader Molla” who has direct charges of killing nearly 400 people, the sacrifice of 3 million martyrs won’t worth [sic]. It’s not a political issue. It’s an issue of every single person of Bangladesh who loves this country. We are not any party, we are not politicians. We are the students, fathers-mothers, and generation of “freedom fighters”! We want justice. …For me, the demons these trials will slay in terms of Bangladesh’s own history are far greater than the few they may spawn. Nonetheless, I admit that I’m plagued by fears that the war crimes trials could become yet another source of cheap political polarization in Bangladesh. At Shahbagh though, I saw the opposite. 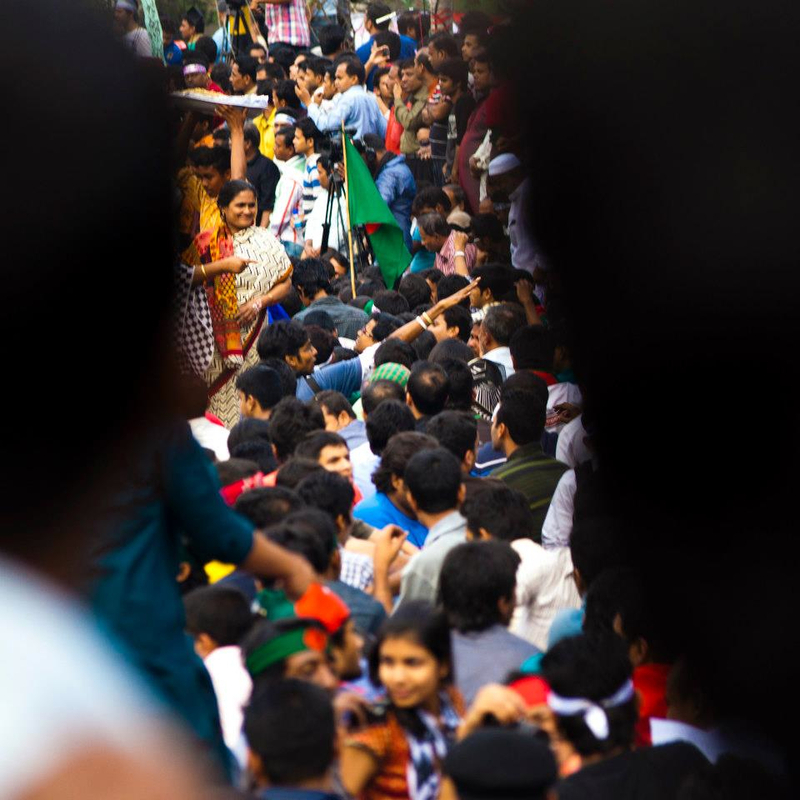 It was ordinary citizens on the streets voicing their demands for justice, and the movement transcended the pedestrian, party-political, Bangladesh National Party (BNP) versus Awami League framework. It was exhilarating to be a part of that consciousness. Protests continued into the fourth day, gaining strength by the hour. Although initially started by the Bloggers and Online Activist Network, it quickly became a “people’s movement,” as ordinary citizens took to the streets. Trying to gage the emotion, and somehow partake in what is clearly a historic moment in Dhaka as a Bangladeshi abroad is both frustrating and exhilarating. Your friend’s Twitter and Facebook feeds keep you updated, yet angers you simultaneously for not being in your country right now. Perhaps like me, you too feel like you are missing out. Whatever your sentiments, one thing we must not be is dismissive or apathetic about what is happening in Bangladesh right now. When was the last time you saw all Bangladeshis come together for the same cause? I do not think in my lifetime I have ever witnessed people spill onto the streets for anything not somehow related to Awami League or BNP-led michils or hartals. 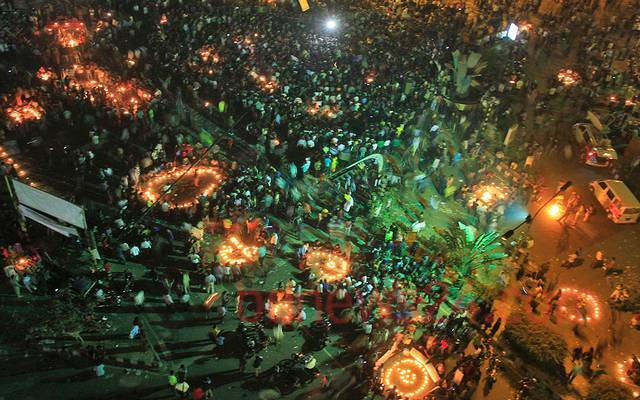 I do not think I have ever seen an on-going protest of this magnitude in Bangladesh ever that was not partisan. The involvement not only of online activists and bloggers, but of the Bangladeshi youth also speaks volumes, and gives these protests credibility while dispelling myths about the younger generation not having interest in the country’s future. This is another 1971. Today we are united in voicing our single demand. We freed the country in 1971 and today you will free it once again from Razakars…. None can hold us back. As protests show no signs of dying down anytime soon, let us join together, Bangladeshis in Shabagh and all over the word, to make sure that after waiting for four decades, justice is finally delivered, and the memory of our martyrs is honored. *This post of mine was also published in Global Voices, bdnews24.com and Huffington Post. Thank you for writing this piece because the Shahbag uprising is uttterly misrepresented in many internaitonal media. Long live Shahbag’s revolutionary spirit – drive away the Rajakars and boycott all Jamaat owned businesses. A lot of thanks to you. We shall over come. ফাঁসী ফাঁসী চাই , রাজাকারের ফাঁসী চাই। Thanks a lot. We shall over come. Well, like other Bangladeshis I am also surprised to know that the matter yet couldn’t bring any importance to the TV media leaders like CNN, BBC, Al-Jazeera!! Why they are ignoring !!! Though it is an internal affair of Bangladesh but the cause and continuation of the protests for such long period of time is unique. Moreover people from all over the country, from every profession joining the protest with self interest without any political influence. From a small group of bloggers it has became so huge to show the love and duty for the country (Bangladesh). Thank you for writing this piece and ‘the female factor’ piece you wrote most recently on Forbes. 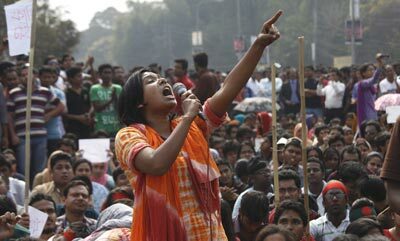 Despite being a Bangladeshi American and both attached and detached from 1971, the “Shahbagh” protests have been exhilarating and it’s very sad that Western media hasn’t picked up on it. I want to add a point to your article in saying, the Bangladesh youth has really kicked protests up a notch; it isn’t about signs and marches anymore. It goes beyond that. 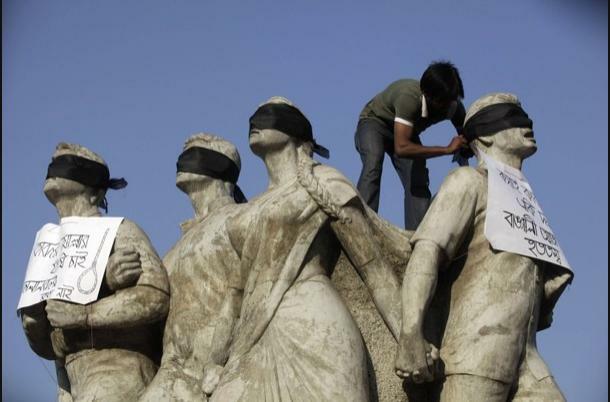 The innovative and creative means of expression being used at Shahbagh should be fully acknowledged and praised. Everything from artwork, songs, slogans, drama acts and games are being utilized. Yesterday I heard a fun fact that more than 200 slogans were sent to various “leading” Bangladeshi bloggers from ALL OVER THE WORLD. As a Bangladeshi, just that fact alone makes me proud that we are trying to be involved in the slightest ways, regardless of how geographically distant we are.